Whether it’s locating hydro utilities for a homeowner’s yard to finding a water pipe in an industrial area, we won’t miss it. Down Under Pipe and Cable Locating specializes in mapping and marking utilities that fall outside of the Ontario One Call system. We will locate utilities in both pre-development areas as well as construction sites. 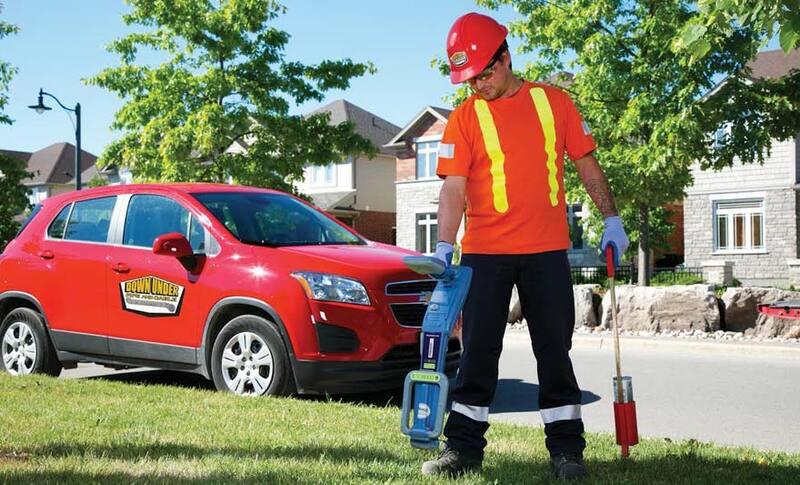 Our Damage Prevention Technicians provide accurate utility marking which allows contractors and home owners to complete their work with safety and ease. Preventing costly construction delays and ensuring client’s drawings accurately reflect all utilities present is what we do. For the engineering community, manufacturing facilities, independent contractors and government agencies, Down Under Pipe and Cable Locating is here for you.